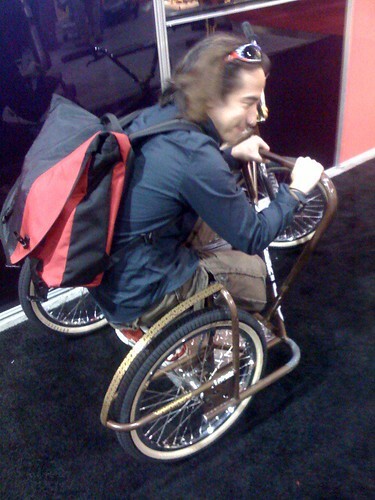 Just a little more than 3 weeks till Interbike 2009. BikeHugger will be there bumping it bigger than ever with an urban ride and as well as this year’s edition of the celebrated Interbike Mobile Social. If you’ll be in Vegas for Interbike, keep checking our site for updates on the events. And for readers who won’t be making the pilgrimage to biggest event in the cycling industry, we’ll take you with us on our adventure of bike gadgets, personalities, riding, and parties.